First thoughts on it are, holy smokes it bloody shifts. Fair amount of Lag below 3.5/4k but then all hell lets loose. Going to take some adjustment to my driving with the AWD and turbo. Everything is immaculate, the seats have had covers on for the last 18 years!! They are basically new. All the door trim and sill plates still have the original protective plastic on from 2000, Well they did have until this morning. 3.5" Exhaust system, came on the car from Japan but haven't figured what system yet. I thought it was going to be overly loud with the 3.5 system and sports cat. But the sound is perfect, I can get it off my drive without waking neighbours, no drone on motorway. But can make plenty of noise on boost. Perfect combo! Got a little shock when I planted my foot on greasy slip road and exited in a 4WD drift when boost came on. where it was flat out everywhere just to keep up with Mr sunday driver tootling along. Yeah i love it in white, although its half brown at the moment, in need of a good clean this weekend! 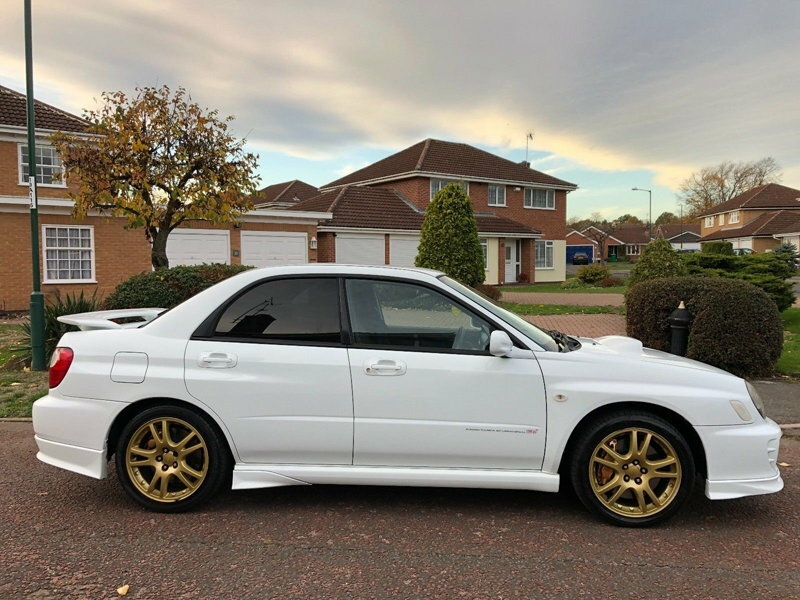 Have a little bit of a coolant leak to sort out this weekend, got some decent oil and a black subaru filter to go on too. Like the low spoiler look Please don't put a big wing on it. Very nice mate. I like the wing mirrors over the standard units. Great looking car that buddy. Enjoy. No big wing for me thank you. Would be interested in a spoiler of an s202 but thats it. Yeah i haven't seen them before I got this, but a nice little touch. Not in current ownership of a type r, but had many in the past and will always remain active over on TRO as they are a good crowd. Fresh oil and filter done, Sorted coolant leak, bottom rad hose clip was failing on not tightening fully. Fantastic. The bug shape has really grown on me and that looks like an excellent example. Had her in for MOT, no rear fog installed, the car has had two MOT's in the UK before me but obviously got away with the fog light issue. I was going to go down the converting the offside reverse light as a fog light but didn't want the red bulb showing through in the clear part of the lights. So I installed a dual filament bulb into offside brake light and have ran a switch through to the dash which just lights both filaments. Learnt that at least a 1/3 of a tank of fuel needs to be in the tank at all times, fast right hand corner and had fuel surge. 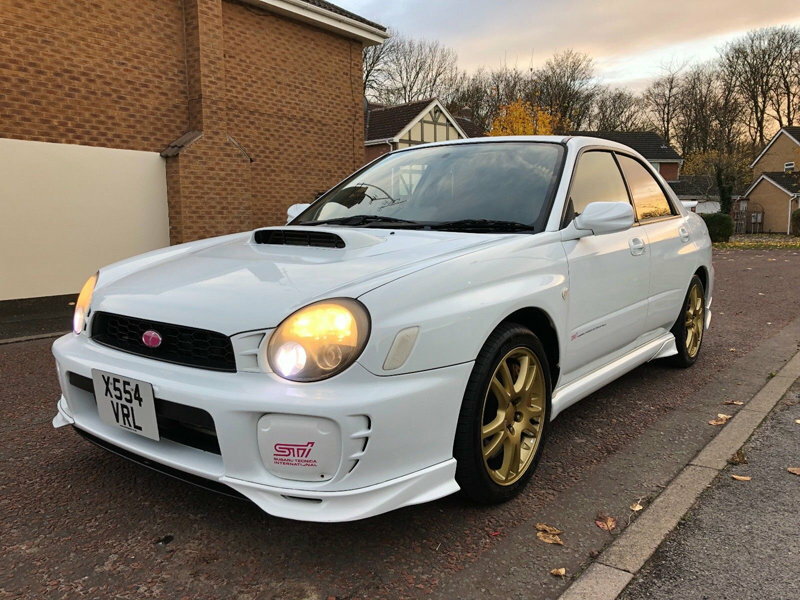 Nice motor mate, always been a bug fan myself, now in my third Impreza, JDM bug like this in 08V but without all the body kit bits. 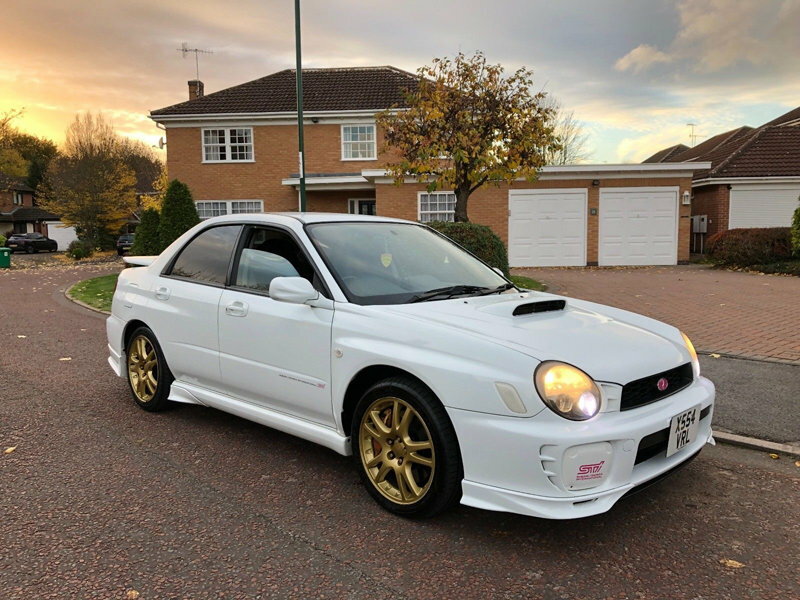 They're fun cars, I'm enjoying mine, but if it hasn't already been mapped for UK fuel it's worth a look, and also check your HKS filter isn't too heavily oiled - it was one of my first mods on my first Impreza WRX and it coated my MAF and made the car run horribly; was fine as soon as it came off - worth keeping an eye on if it starts feeling a bit lumpy! Enjoy it, you very rarely see a bug in white! You can get various style LED bulbs with colourless LEDs, which light up very bright red (or any other colour). I have one in my STi 5's converted O/S reversing lens. Last edited by joz8968; 10 April 2019 at 04:53 PM.